Do you need some simple fudge recipe? Here is an easy peda recipe. It's very simple and delicious to have sweet recipes with milk powder. 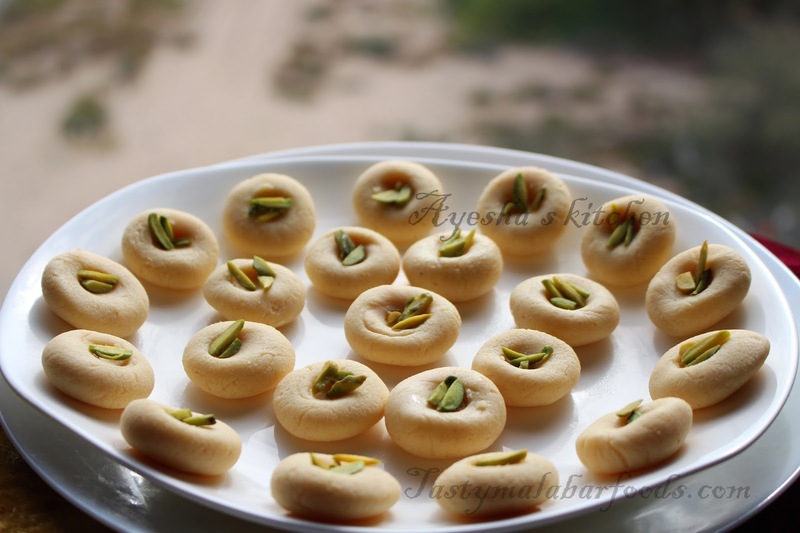 Milk peda / milk fudge / doodh peda is a popular Indian sweet that is traditionally made with evaporated milk or mawa / khoya. 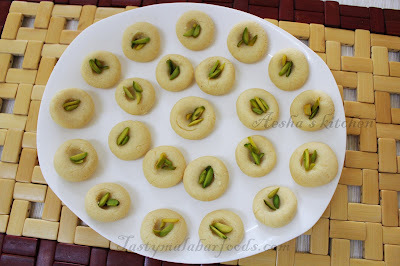 This is the simplest and super quick method for preparing this yummy peda. This easy fudge recipe is the popular sweet made for diwali. The word peda usually means round balls made from khoya or any dough. The traditional method of preparing milk fudge or peda is by drying out milk in an open pan. It is done by heating milk and then combined with different flavoring agents. But this method takes much time and care. Here is great south Indian sweets, quick, less ingredient recipe of milk peda / milk fudge with condensed milk / Indian sweets with condensed milk recipes. So let's see how to make this homemade fudge recipe / delicious milk peda sweet with only 3 ingredients in 20 minutes. In a pan add milk powder, condensed milk, saffron soaked warm milk and whisk well without any lumps. This should be done before switching on the flame. Grease your hands and make small balls, flatten slightly and give a small press in the center. This should be done when it is warm. Repeat the same until the entire mixture finishes. Garnish with pistachios. Our yummy milk peda ready. Enjoy!